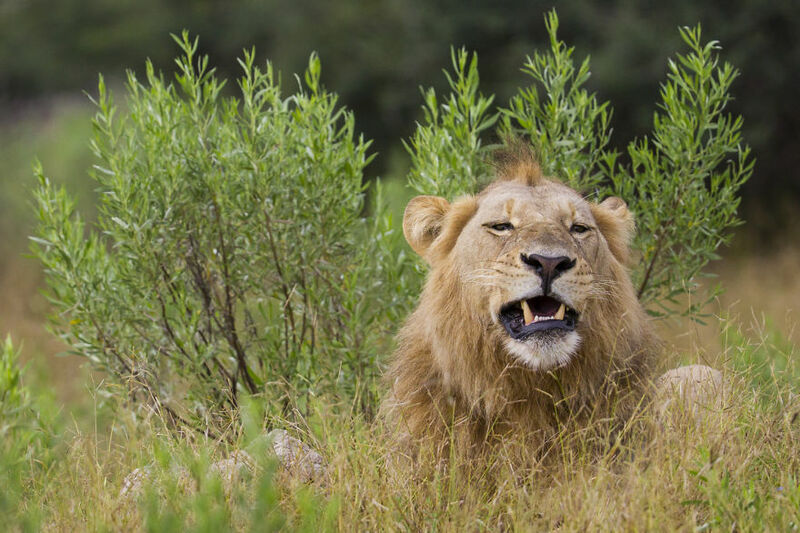 A male lion wakes up from a nap in Botswana. 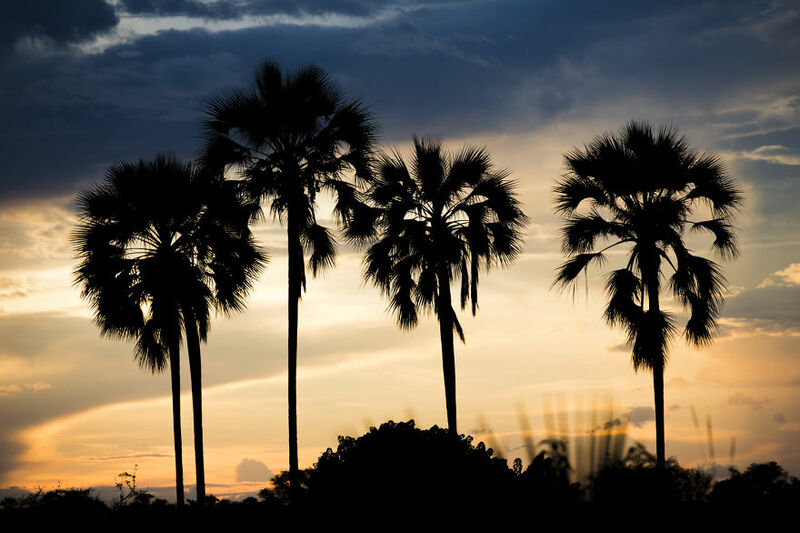 Big skies and colorful sunsets in Botswana. 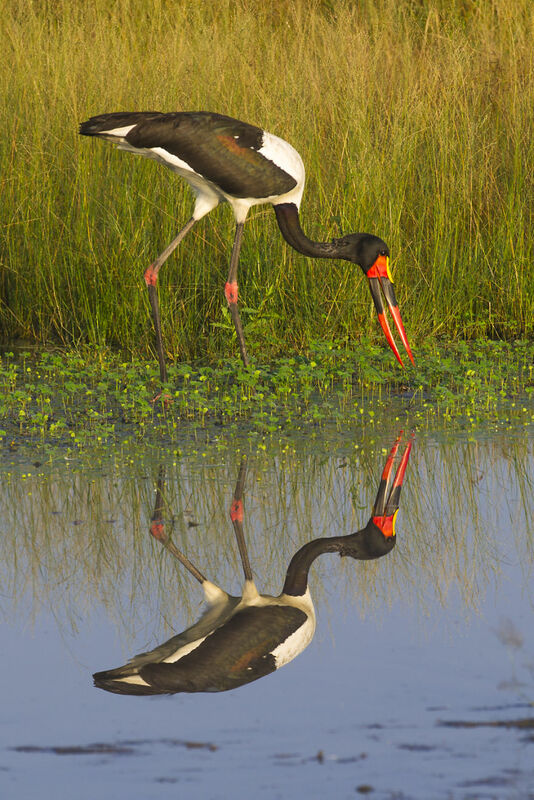 A Saddle-Billed stork poking around for breakfast at Sunrise in Botswana. 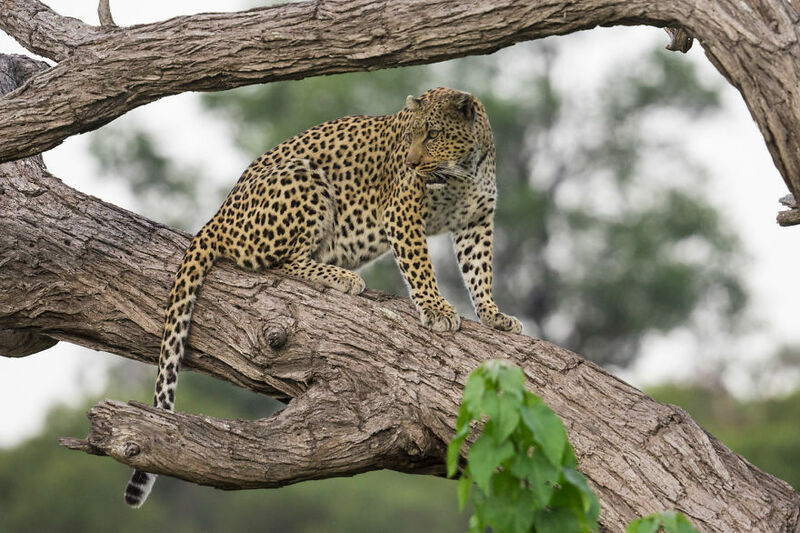 Following around a Leopard on the prowl in Africa. Most people picture Africa as extremely hot and dusty. Arriving in March is the exact opposite. 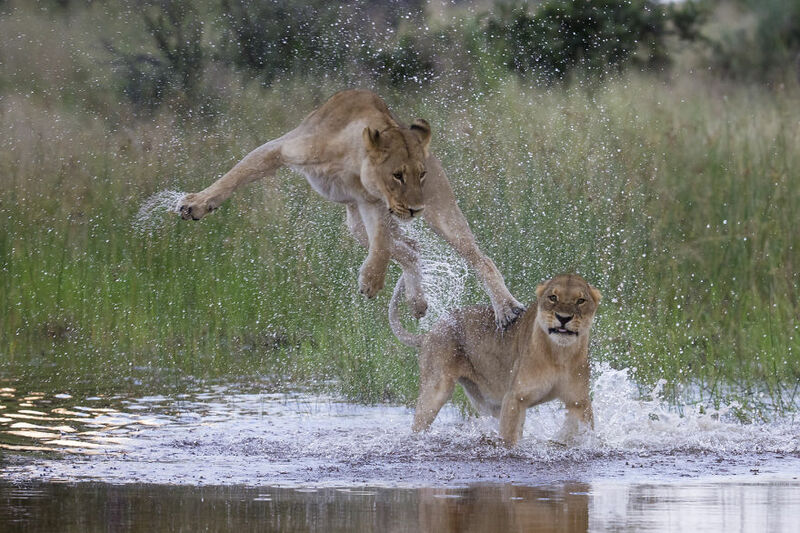 Two young lions playing in the water at dusk. Quite possibly my favorite photo I have taken in my life time. 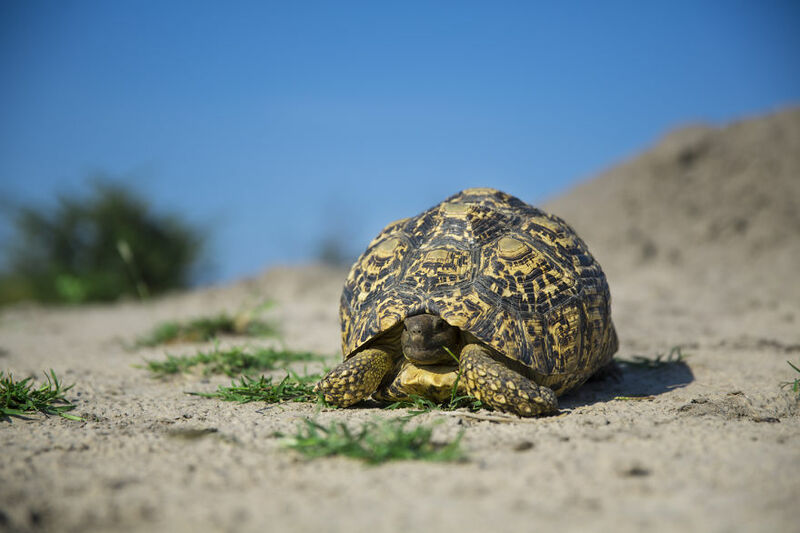 A leopard tortoise taking a leisurely stroll in Botswana. 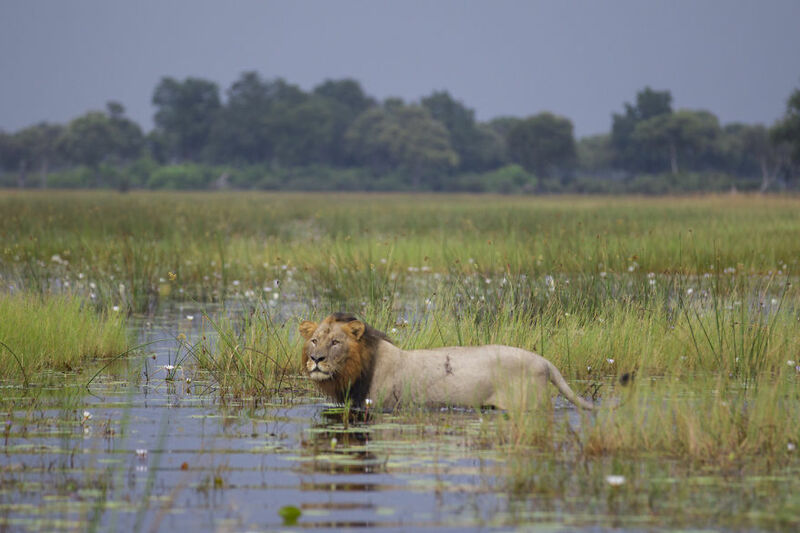 A male lion searches for his brother in the rain and water in Botswana. 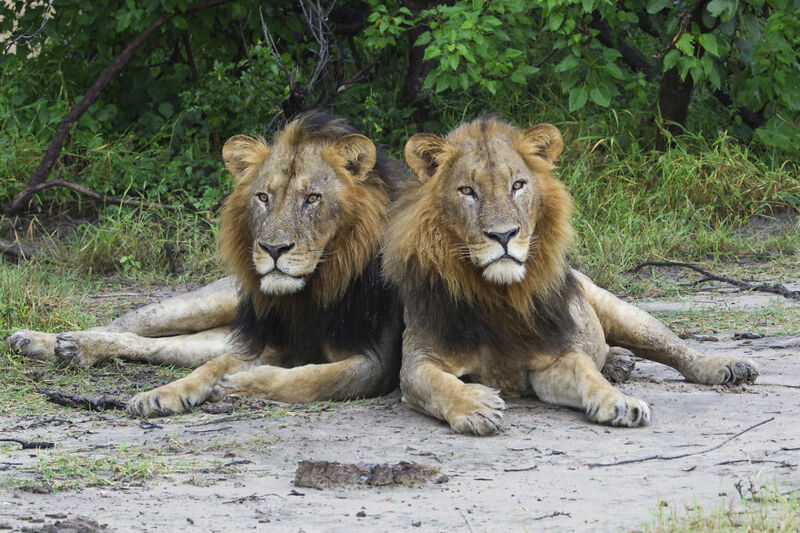 Two male lions rest in the afternoon. 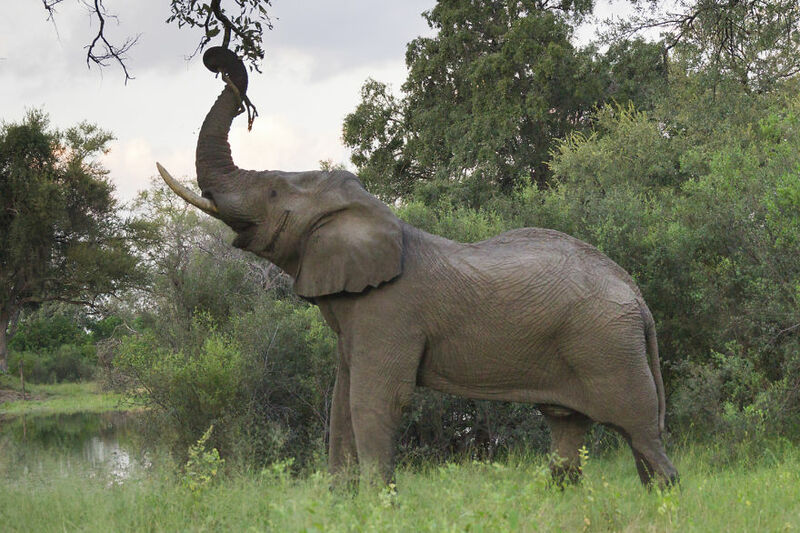 An elephant ripping apart a tree to eat the bark with an extremely powerful trunk. 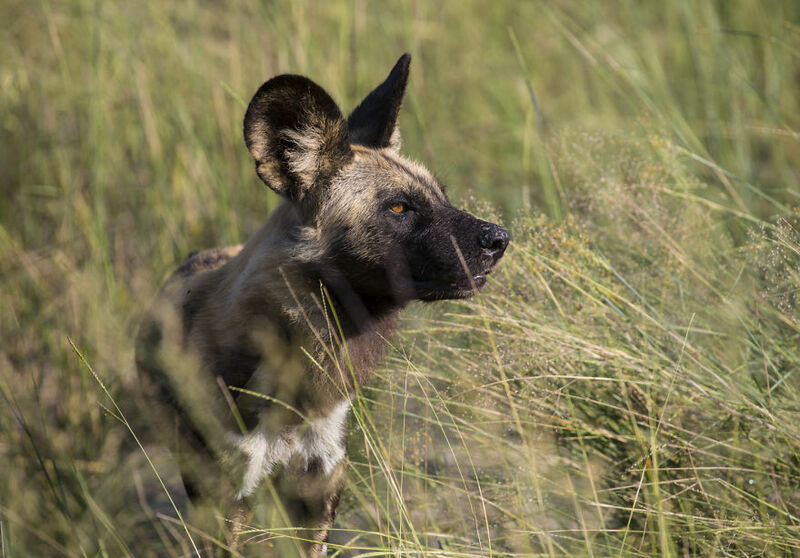 An African Wild Dog scanning the surrounding area for a meal. 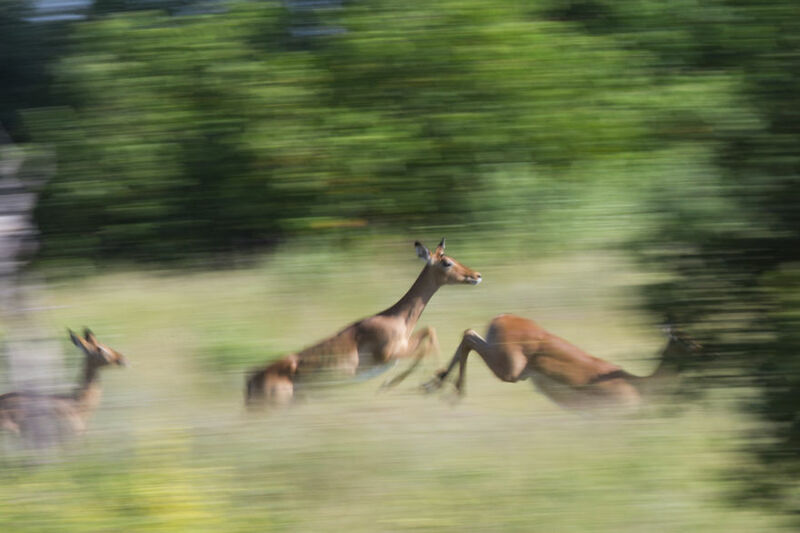 A motion blur of Impala high tailing it away from African Wild Dogs. 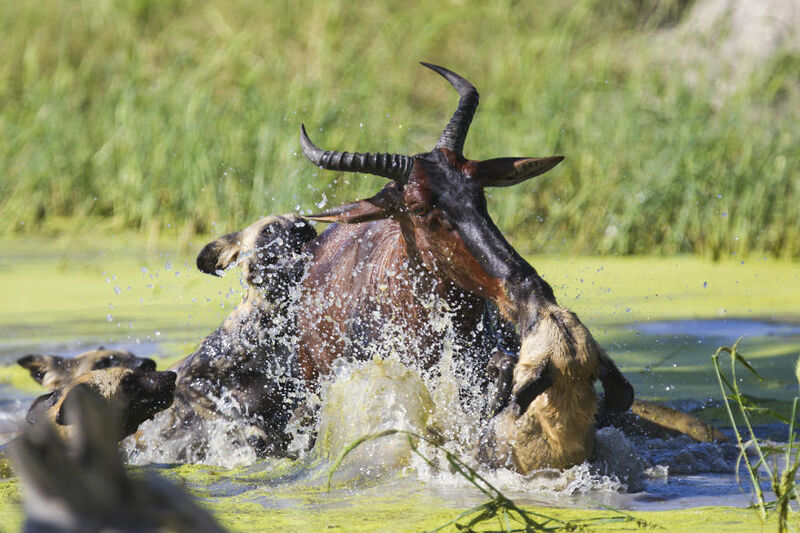 A pack of Wild Dogs taking down a Tsessebe in a lagoon. 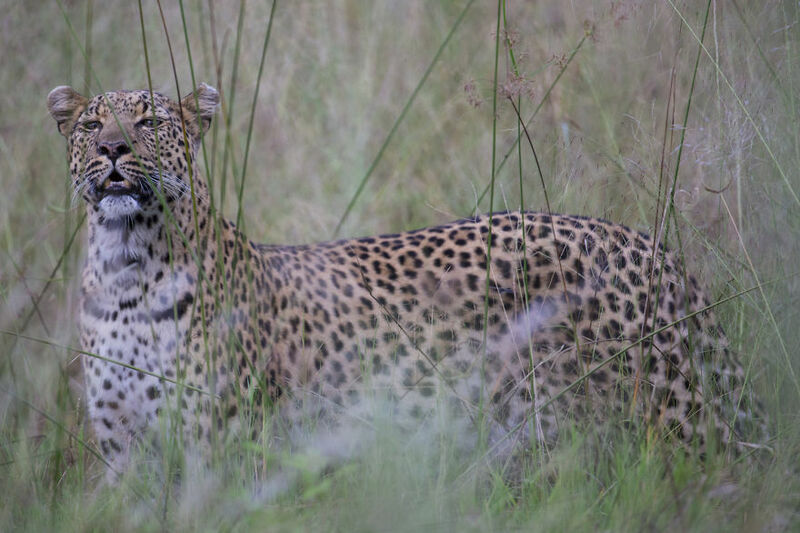 One of the most spectacular acts of predation I have witnessed. 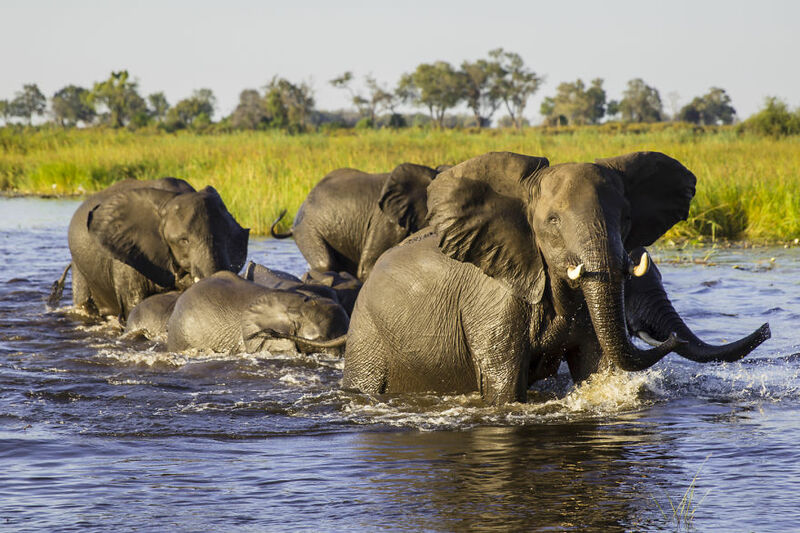 A large grouping of Elephants crossing a river in Botswana.